Forests and trees contribute to food security and nutrition in multiple ways. They provide wood, energy, foods and other products. They generate income and employment for many people, often the most vulnerable. They deliver ecosystem services vital for food security and nutrition in the long term, including water and carbon cycle regulation and protection of biodiversity. These contributions vary according to types of forests and the way they are managed. Increasing and competing demands on land, forests and trees create new challenges and opportunities and impact food security and nutrition. 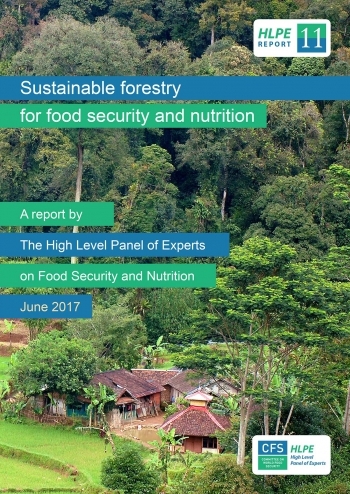 This report calls for a renewed understanding of sustainable forestry in order to fully integrate the different functions of forests and trees, from farm and landscape to global levels, as well as at different timescales, for enhanced food security and nutrition and sustainable development. 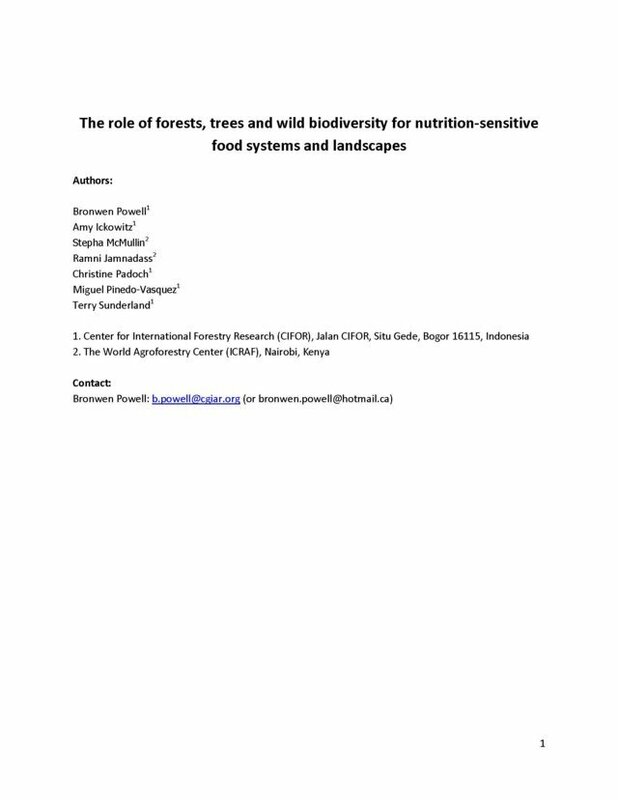 This requires inclusive and integrative governance mechanisms at different scales that enable the full and effective participation of concerned stakeholders, particularly of forest-dependent indigenous peoples and local communities.